I made this pattern, because I wanted to do a new pattern out of a double held yarn work. It is my first english translation, so be kind and send any typos and language errors in a comment, on instagram or facebook to me, so that I can fix it. Have fun with this headband pattern and let me know, if you like it. You need to take double yarn for knitting this project. Use the yarn from the inside and the outside of a ball at the same time, or make two balls out of one. 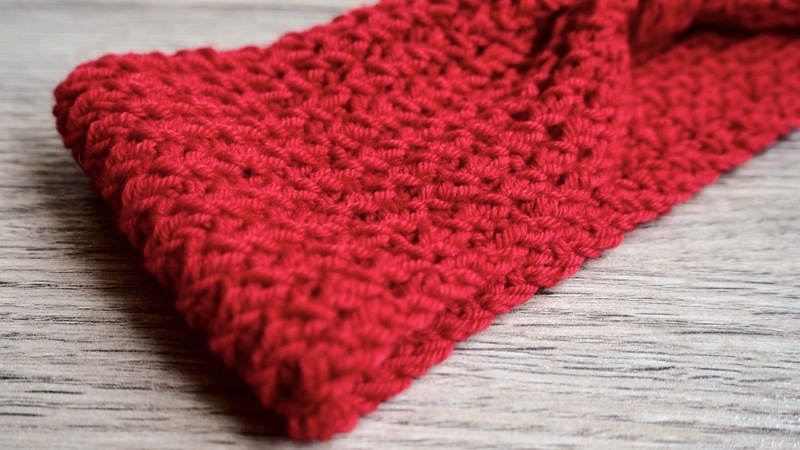 You´ll knit the headband in rows and knit together the CO and BO edge at the end. Don´t worry, I´ll show you how it works! CO 20 sts with US 6 needles and a provisional cast on. I recommend to use a crocheted provisional cast on, as it is shown in this video. Row 2: turn the work, sl the first half st knitwise, *k the remaining half of the st tog with the first half of the next st, purl the remaining half together with the first half of the next st* – work from * to * till the end. Work Row 2 until work measures 17,75 inches. To be sure, measure the headband and your head circumference. Your head should be a little bit wider than your headband. The yarn and pattern will be elastic. Put the sts from the provisional CO on a third needle and knit them together with your life stitches. = k2tog with one st of every needle. Be careful not to twist your headband. Work the BO while knitting together. Cut the yarn and leave a long tail. Sew the tail in while pulling together the seam lightly. 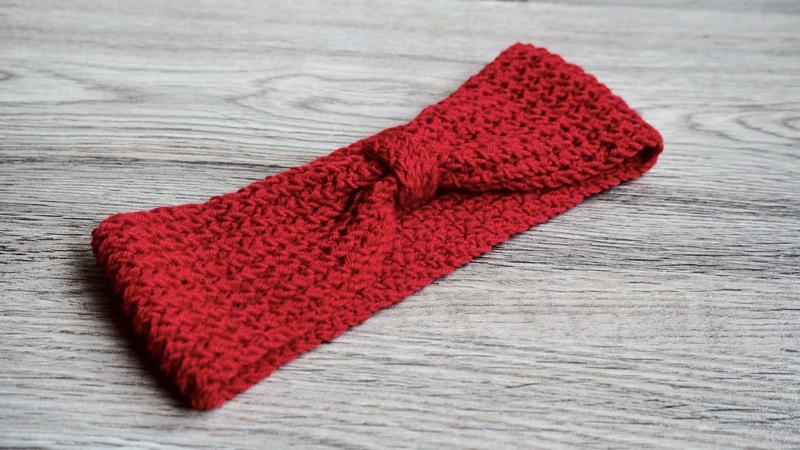 Now you work the bow band: CO 5 sts and work in headband pattern, but without p sts. Just ktog one half of the first and one half of the next sts, until the bow band is long enough to go around the seam and making a nice bow out of your headband. 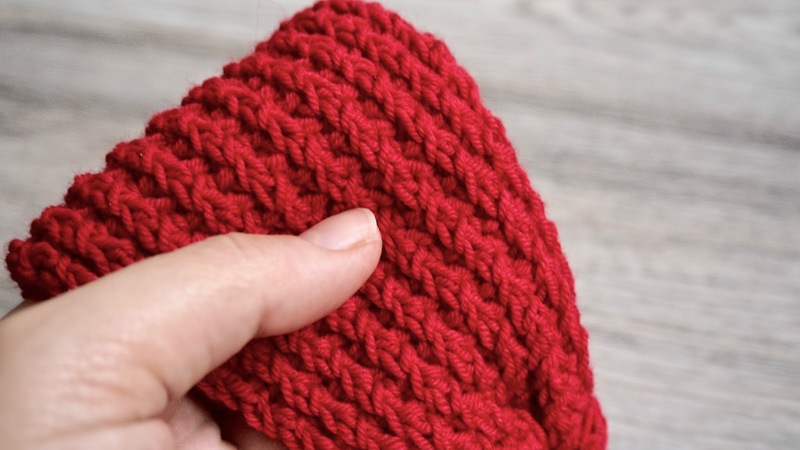 Knit together the sts on your needle with the CO sts on the back of the headband. It´s not necessary to make a provisional CO, as you´ll not see the seam later. Cut the yarn and sew in the tail. Your headband is finished! Have fun with it! I´ll be happy to see your finished headbands on instagram (please use the hashtag #cficandothat or/and tag me @carosfummeley) facebook or twitter. I´d be also happy about your project pics on ravelry. You can find the pattern page here.